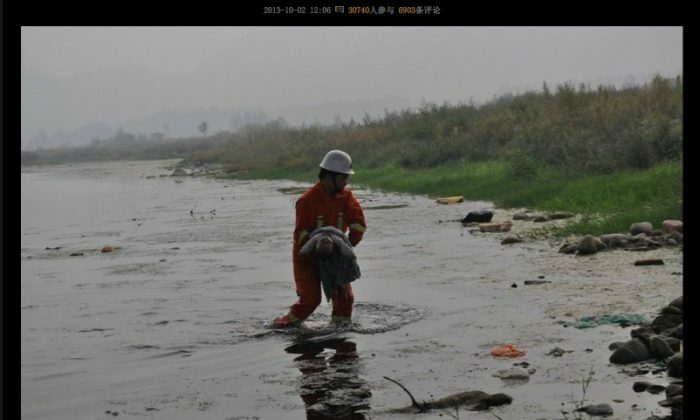 A young couple threw their baby into a river in Henan Province while arguing, and by the time the emergency services arrived to rescue it, the infant was dead. The husband and wife reportedly got into a fight on Ruyang County Xinda bridge early on Oct. 2, and the man is believed to have thrown the child into the river in a fit of anger, according to the Beijing News. The media reported that the woman called the police immediately after the incident took place, and although assistance arrived within a few minutes, the baby was declared dead at the scene. A preliminary police investigation revealed that the woman was planning to move in with her parents after a domestic dispute the previous night, and her husband was trying to stop her leaving, which led to the struggle on the bridge. However, the man said that the baby had accidentally fallen into the river. The couple is being detained while the police continue the investigation. Netizens were shocked by the news, and mostly criticized the degradation of Chinese society. A woman in central China’s Hunan Province slid into madness after being forced into labor, at seven months of pregnancy, so that her baby could be killed. Chinese police recovered 10 infants sold to a baby trafficking ring, but the impoverished families they came from did not claim them back.